Faith is now; Salvation is now; Life is… NOW – No Opportunity Wasted. Are You Married to (or Living With) a Man? The main reason God created us is to dwell among us and have fellowship with us. He used the ark to bring great assurance to His people, Israel, that His presence was among them regardless of their sinful ways. How does the ark of the covenant translate to us today? How does the ark of the covenant transition to the promise for the new covenant believer that the Lord is in our midst, despite our sinful ways? 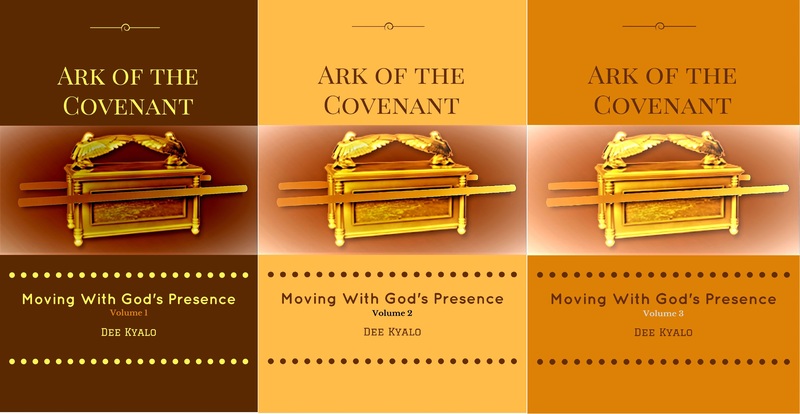 This book, Ark of the Covenant – Moving With God’s Presence attempts to demonstrate just like God accompanied Israel in their wandering in the wilderness as well as in their return from exile, so, too He is with us in all our life’s situations. Ark of the Covenant – Moving With God’s Presence is designed with both the Christian and not-yet-saved in mind. It shows in a straightforward way how God’s presence is a two-way operation; it can work both ways – for and against – depending on which side one is on. The ark, just as it was an emblem of God’s presence before, the cross is an emblem of God’s grace. What role does it play in your life? Regardless of what we see or experience, God has not forgotten the human race. Click here for paperback edition! 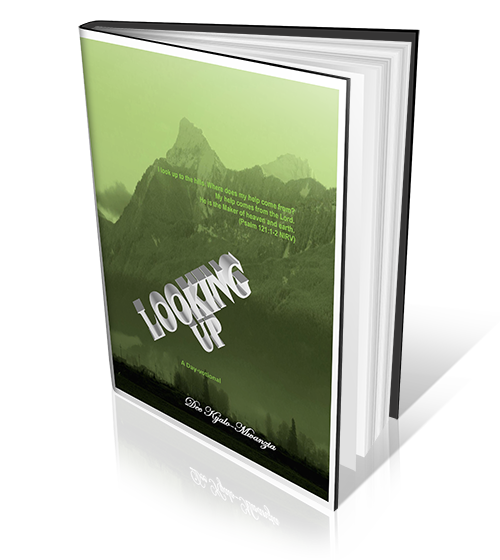 For a limited time, Amazon is offering my book, “Looking Up” for FREE. Click here to deliver it to your device. Then please POST YOUR REVIEW of the book right here. I trust that you got some encouragement from my last letter. I’m privileged to write to you again today. One puzzling thing I have observed in life is that it’s always darkest just before dawn. No wonder the Psalmist said, “Weeping may last for a night, but joy comes in the morning” (Psalm 30:35). Usually, when we have no hope and there’s no way out – it is dark and weeping is only natural. *Dee Kyalo is the author of Crushing Invisible Barriers . Check out the book’s cool reviews and ‘like’ us on Facebook! Dear Beloved of God, if you’re under a spiritual attack, would you quickly know it and deal with it effectively? Although every Believer struggles at different times with spiritual attacks, not every Believer recognizes them always as from the devil. Some may blame their situation, family, friends, church, boss, neighbor and at times even God, for their plight. Did you know that the devil is the enemy of your soul and a master deceiver who prompts problems and vanishes before anyone recognizes his influence? Know this: God wants us to be ready for any spiritual attack that comes our way. He wants us to be equipped in the strength of His power to stand against the enemy’s plans and beat him in those particular battles in our life. 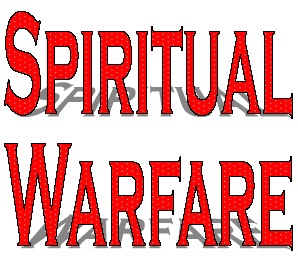 The following message is a continuation of When You’re Under Spiritual Attack Part 1. Do you sometimes experience loss of appetite for spiritual things, like reading the Bible or listening to sermons? Whenever you lose your spiritual enthusiasm, that’s really when you need it most. Plunge yourself into the Word – nothing nourishes better than the Word. When you immerse yourself in it, you’re assured of forgiveness for your past sins, in addition to being guaranteed of victory now as well as in the future. God’s Word contains the power to bring change to your mind, heart and mood. How sweet are your words to my taste, sweeter than honey to my mouth! (Psalm 119:103). Eat His Word, for it will be your joy and heart’s delight (Jeremiah 15:16). When I was going through a spiritual attack, my husband ministered to me saying, “When a lion attacks a herd of buffaloes, at first he’s just on the prowl, but as the chase ensues, the one animal that separates itself from the group becomes meat.” (See 1 Peter 5:8) Usually, such that isolate themselves are, at that moment, weak, injured and in pain. If you discover that you have no desire to be among other Believers and you want to disconnect, recognize that this is a spiritual attack. Don’t forsake gathering with other Christians (Hebrews 10:25). Also, get back to the sheepfold, in the presence of the Great Shepherd, He will protect you. Once upon a time you were excited about involving yourself in the activities of your church. You used to volunteer for service, but now you do stuff out of obligation rather than joy. You lost your momentum along the way and are simply going through the motions. If you’re honest, you’ll tell “these people to leave you alone instead of bothering you with requests for serving”. Honoring God with your lips while your heart is far from Him (Matthew 15:8) puts a major dent in your spiritual service. Believer, “If you are returning to the Lord with all your heart, then put away the foreign gods and the Ashtaroth from among you and direct your heart to the Lord and serve him only, and he will deliver you out of the hand of the Philistines.” (1 Samuel 7:3) Foreign gods and Ashtaroth are things that are taking you away from doing good in the kingdom, and the hand of the Philistines is the spiritual attacks. Enough rest and a good night’s sleep are essential if we are to remain active in our spiritual (and physical) life. However, the enemy can cause disturbances with scary dreams or even nothing in particular – you just find yourself awake and you’re not sure why. What’s interesting is that I had not seen it for what it was – a spiritual attack! 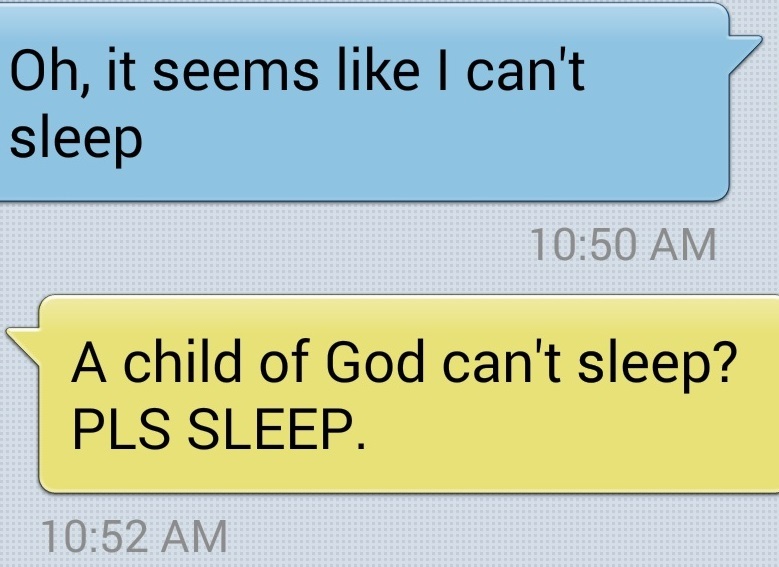 This lack of sleep had interfered with my prayer routine. I was tired, yet awake and unproductive. Nevertheless, that question in the text, struck me moments later and after embracing the following verses, I was able to sleep well. 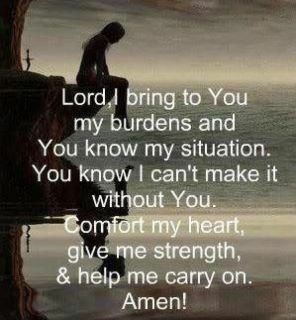 “I will lay down and sleep; I wake again, because the Lord sustains me” (Psalm 3:5) and “In peace I will lie down and sleep, for you alone, Lord, make me dwell in safety” (Psalm 4:8). Ignoring all the above seven signs is likely to usher you to this step – you don’t want to reach here. Being unproductive in your spiritual life is dangerous. Past enticements can come back more ferociously and you’ll have no ammo to resist. When you’re where you should be i.e. submitted to God, only then will you be able to resist the devil and he will flee from you (James 4:7). Brethren, when you’re under attack, holding fast onto Jesus will open your eyes to the way of escape that God has provided for you, as 1 Corinthians 10:19 states. 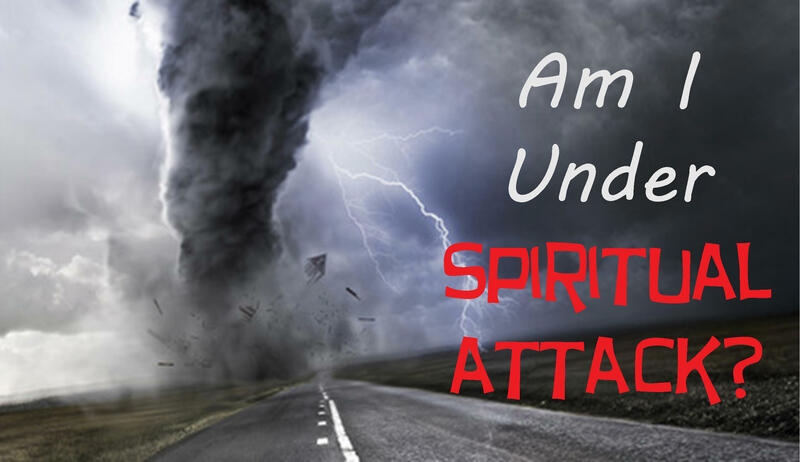 Spiritual attacks can hook themselves onto setbacks, losses, disappointments or even major victories in our lives. If you’ve lost momentum, you’re struggling in your spiritual life, and no longer find any thrill in faith matters, it is time unclog your spiritual arteries that would otherwise cause a spiritual cardiac arrest and let the cleansing blood of Jesus flow through! Respond to spiritual attacks with the full armor of God (Ephesians 6:10-18), building yourself up in your most Holy faith and praying in the Holy Spirit (Jude 1:20). In so doing, you’ll keep crushing invisible barriers until you stand victorious. *Dee Kyalo is the author of Crushing Invisible Barriers. 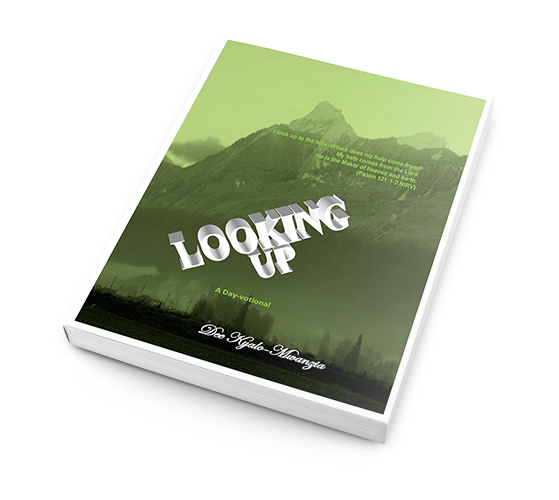 Check out the book’s cool reviews and ‘like’ us on Facebook! They had married young. He was twenty and she, eighteen. Ten months after their wedding their first baby arrived, and the next one followed fifteen months later. Now both their children were out of the home, and he was just settling down to enjoy the new phase of life with his wife. They had plans to go on all those cruises they had previously not been able take. Then a couple of weeks before their twenty-fifth anniversary he got a shock of his life. Tucked away at the bottom of her closet was a box full of letters and cards from another man. For a few seconds, life stood still before him and then the ache of betrayal jangled violently through his entire body and soul. 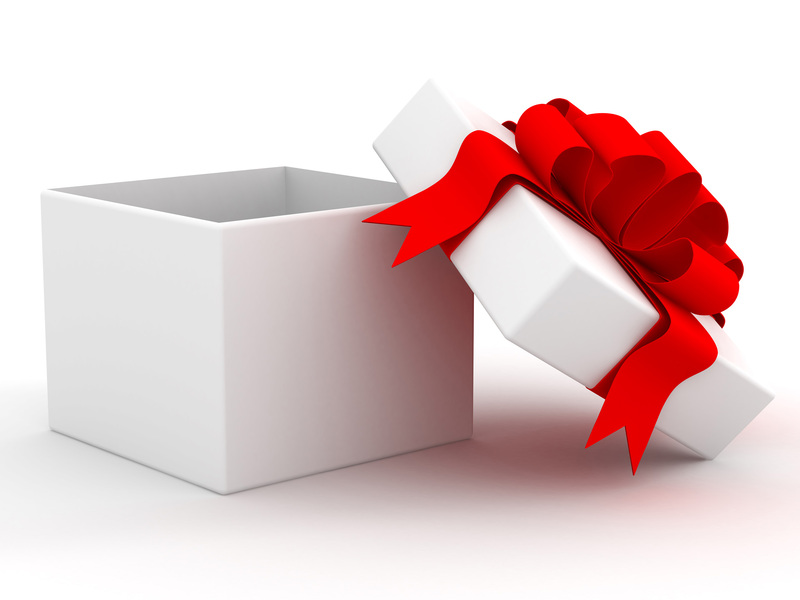 He carefully carried the pink scented gift box and placed it on the blanket chest. Peering at the contents in one letter, it was apparent that this illicit affair had been ongoing when she worked at the hospital. He couldn’t understand how this was happening to him. As far as he knew, theirs was one of the most stable marriages around. This finding tore into his heart like a sharp knife. He really wanted to confront her with this box, but on second thoughts he returned the overwhelming evidence exactly where he had found it. She was a little puzzled by this very touching moment; however she savored it and reaffirmed her own vows back to him. Armella’s legs gave way beneath her and she sat on the floor weeping. She knew he had found out. She was extremely remorseful. After gaining some composure, she took the box into the den. Rodgers was there reclined in his favorite seat watching a game. She tossed it into the fire. They both watched it go up in flames. “Honey, I am very sorry…” she began. He switched off the television and motioned her to sit beside him. So they did and called it “1 Peter 4:8”. Last week they celebrated their fiftieth anniversary. Let us not be afraid to call sin sin, but let us not be slow to forgive it and to look past it. It’s amazing how much beauty we can see and how much further we can go together when we choose to close our eyes to our spouse’s faults. Dee Kyalo is the author of Crushing Invisible Barriers and Looking Up . Check out the cool reviews and ‘like’ us on Facebook! Both books are available here now. Here is an encouragement to someone waiting upon the Lord in fasting and prayer. I believe that God has been revealing some things that are personal to you so that you can push beyond the limitations that surround you. You might have been around a particular mountain for long and it’s time you moved ahead. When you are at a crossroads; when facing some major decisions and need breakthrough… what do you do? Sometimes in our lives we reach a point where what we desire seems beyond our reach. When that happens, we must check our faith level. It is only through faith that we will receive our breakthroughs and move to the next stage of our lives. Faith delivers to us all we need. According to our faith, it is done unto us. ( Matthew 9:29 NKJV) This faith is now – not tomorrow. It is our title deed for the things we hope for. (Hebrews 11:1). We ‘see’ our victory in the spirit before we actually ‘touch’ it the physical. When the eye of the spirit has seen it, we possess it. Faith enables us to see things as they should be. It is only those who are sick that go to see the doctor. When they do, they are examined, then given a diagnosis (the nature/cause of their ailment is identified), prognosis (predictions that are likely to come from their condition and) and some prescription (instructions for treatment). I want you to imagine a bacterial infection. Before bacteria can multiply and cause symptoms, the body’s immune system can usually destroy them. There are occasions, however, when the attack is too great and some help is needed and that’s when we make our way to the doctor. To get rid of this infection, the doctor prescribes some antibiotics. These are powerful medicines that fight bacterial infections and can save lives when used properly. Antibiotics either stop bacteria from reproducing or kill them. After which, your body’s natural defenses are usually able to take it from there. Jesus acknowledged that it is the sick that need a physician. ( Luke 5:31) We all need a physician in different areas of our lives. It could be in the area of relationships, perhaps the marriage is falling apart, or finances where you’re in over your head with debts, or spiritually where you need help in your faith, praying or reading of the Word. Whatever the case may be – we all need a doctor and so we go to the Lord, our Healer with fasting and prayer. Following His examination of us via His Word, our Physician identifies what ails us and how the condition will develop; and its effects on our lives. He does not stop there but goes ahead and writes a prescription to be taken for a specific number of days. As with antibiotics (that can save lives when used properly), the principle is the same; following instructions is vital. We are more than likely to dethrone the powers of darkness that curtail our movement when we adhere to the Great Physician’s directions. The instructions/directions will be what will put something in you to fight the problem you currently face. Jesus said that some problems will only go away by prayer and fasting ( Mark 9:29 NKJV). Those long-standing, deep-seated issues will only be dethroned by the joint weapon of fasting and prayer. Without neglecting reading of the Word, as you combine your prayer with fasting, you will receive power in you (made possible by the Holy Spirit) to reach higher heights in Christ. Receive new strength to step up to the next level in your walk of faith! Sometimes, something so significant happens that changes the way an individual lives. Such events define the boundaries of hope and despondency, draw the line between good and evil and make us aware that occasionally life carries both good and evil in the same breath. Many of us have gone through such situations or come across people who have faced them. A while back I had the opportunity of hosting some children from Uganda all who have lost one or both parents to AIDS related sicknesses or some form of violence. Witnessing these hardships as a child is one of such defining events. I listened as they narrated their stories. Rachael, who was 9 years old then, came from school to find people gathered around her house. She was told that her father had killed her mother before committing suicide. As if that was not tough enough, her father’s family blamed her mother for his death. Just like that her life had changed forever due to no fault of her own and she had nowhere to go. At that tender age, she turned to the streets, begged and worked for food. Rachael’s destiny, like many other people who are born in poverty, it seemed, was doomed. Abandoned, alone and afraid this young child endured despite her circumstance. With a smile on her face Rachael revealed the secret to her bouncebackability. After some time she was rescued from the streets, accepted by a new family and today, Rachael, a college graduate, works with orphans and other disadvantaged children to offer hope and encouragement through the message of salvation of Jesus Christ. Bouncebackability is about getting up, dusting off and trying again until you succeed. Is this even possible for a child born in the virulence of racism, raped as a child and becomes a single mother at 17, then later works as a nightclub dancer and even a prostitute? Maya Angelou wouldn’t let any of those experiences bind her destiny. She proceeded to become a leading poet, author, actress, director, playwright, composer, singer, dancer and a prominent figure in America’s civil rights movement. Not every storm we experience is our fault. Joseph’s life starts out well. He was the favorite of his father Jacob. Then suddenly he begins to get these dreams indicating that his brothers and his father will all bow down to him; and his brothers hatch a plot to get rid of him. They conspire to kill him by abandoning him in a pit. Fortunately, a band of traders pass by and the brothers change the plan. They sell him as a slave. His life has just changed! Abandoned by family, stripped off his richly ornamented coat, sold off as a slave, falsely accused, thrown in jail and forgotten by his friends, Joseph has a choice to make. Should he remain in mourning over what has befallen him or should he bounce back? He faced difficult times repeatedly but endured. Joseph’s bouncebackability is amazing. This helps him gain a reputation as a dream interpreter and rescues Egypt from famine. This also saves his family from dying of starvation in Canaan because years later, when his brothers arrive in Egypt in search of food, Joseph is able to help them. Joseph’s ability to bounce back brings about a family reunion! (Genesis 45:1-28 NIV). For sure “…a just man falleth seven times, and riseth up again…” (Proverbs 24:16a KJV). This, in my opinion, is bouncebackability. It helps us to look beyond our present toward our future. It restores the spring back into our step. It helps us remember we are never out of God’s reach! Last Tuesday a dear sister was called to new life following treatment for breast cancer. We experienced tension in big and little ways, obvious and subtle ways every single day as she went through the tough process. I learned that as hard as we might try to pursue health and well-being, the chaos of un-wellness can invade as an unwelcome intruder. It took my sister only 8 months from diagnosis to departure. It is in confusing moments like this when God seems so far away. In tumultuous situations like this one finds it very difficult to pray. Nothing makes sense in such turmoil. It feels to me like chaos is trying to move in, take me over and swallow me up. Everything is in disarray and I do not know where to start. Although it is very difficult to understand why a young wife – only 34 years old, and a mother of two, aged 6 (almost 7) and 4, should die, I rejoice because blessed are the dead who die in the Lord (Revelation 14:13 NIV). It appears as though nothing good can come out of the chaos that sickness, disease and death can cause. “My grace is sufficient for you, for my power is made perfect in your weakness.” He answers. (2 Corinthians 12:9 NIV). It suddenly dawns on me that order can only be experienced in the midst of shambles. 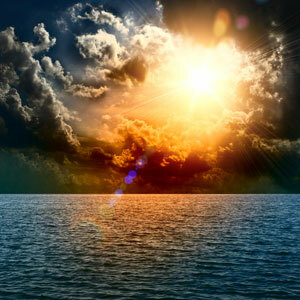 In the beginning, when the earth was formless, empty and darkness was over the surface of the deep, the Spirit of God was hovering over the waters and He began creating something good. Let there be…and it was! (Genesis 1:1-31 NIV and Genesis 2:1-2 NIV). Is anyone facing a similar situation? Let there be hope and encouragement as you watch this powerful video! Copyright © 2014 Dee Kyalo-Mwanzia. All Rights Reserved. Anyone with a skeleton? Of course! It is the one thing every person and most animals in the world has in common. Or should I have added “in the closet”? I’ve had it said that everyone has something to hide. Do you have a secret or other past memories that you prefer not to talk about with anyone else? I have had some skeletons and these do not only include my dark past but also embarrassing moments I’ve had that I simply choose not to unearth over and over – unless they are spiritually beneficial to someone. One thing I have learned is that it is vital to clean up the skeletons in the closet sooner than later because failure to do so can result in abrupt dire consequences. More often than not these skeletons are sins. Genesis 3:1 to Revelation 20 talks about how to deal with sin and get back to God. How can I be righteous before God? I ask this question because man’s righteousness is like filthy rags before God. Not even keeping the Law is good enough. Abraham was righteous according to God because he simply believed God; not because of anything he earned. The God of justice ensures every sin is paid for. Every sin is going to be fully punished except we lay it on another. The altars we read about in the Old Testament have blood poured upon them and this blood was pointing towards the blood of Jesus. Now the blood of Jesus has come – the blood that makes us one with God. And the cross upon which this blood was poured, is our altar. It is the place where our salvation was purchased. I am amazed that Jesus took upon Himself my sins (including the skeletons) and that’s why He died. Without Him carrying my sin, He wouldn’t have died. Jesus would have hang on that cross without death because of His sinless nature. I am amazed by God’s grace and my labor is to believe in the finished work of the cross. I encourage you now to bring out your skeletons, lay them at the cross and be prepared to be amazed! This book has some pretty cool reviews! When we crossed over from the kingdom of darkness into the kingdom of God through salvation, we signed up for a race and registered for warfare. We are in a race that is accompanied with warfare. Christianity is a race. That is why we are told to “run with patience the race that is set before us” (Hebrews 12:1). In this race, we have a common enemy – the devil. He is not impressed that we renounced him and embraced the King of kings. Therefore, he is always looking for ways to make us fall that is why we must vow to look for ways to remain standing. We must be determined to stay alive because we’re born again to overcome. When the devil afflicts you and you remain in the same position, he is not bothered but it bothers him when you react. Strategy is the strength of any military not just weapons. It is possible to have weapons and still flee from war. So what is our strategy? Although we wrestle, we are designed to overcome! In addition to weapons, we must develop a faith strategy because by it we have been justified; by it we have gained access into this grace in which we now stand! By it we run this race, fight this battle and overcome! That is our strategy. We live in a busy world; most of our readers have very little time to spare - yet they want to read something uplifting. Would you consider lending your words and creativity to devotional writing? Click below to learn how. Enter your email address to follow this blog and receive new posts alerts by email. © 2012 - 2016 Life: Not A Rehearsal by Dee Kyalo-Mwanzia. Unauthorized use and/or duplication of any material without express and written permission from this blog’s author and/or owner is strictly prohibited. Excerpts and links may be used, provided that full and clear credit is given.